We are excited to present ‘7 Kingfisher Street, Dakabin’ to the Market! Freshly painted and with new window coverings throughout, this beautifully presented, conveniently located & spacious property, has nothing left for you to do, other than move straight in, put your feet up and relax! Situated just 26 Km’s from the Brisbane CBD, 25 minutes to the Airport, 45 minutes from the Sunshine Coast and 5 minutes drive to Westfield North Lakes, this four bedroom, 2 living, 2 bathroom and double garage family home in ‘Essencia’ Dakabin is also walking distance to schools, shops and the train station! 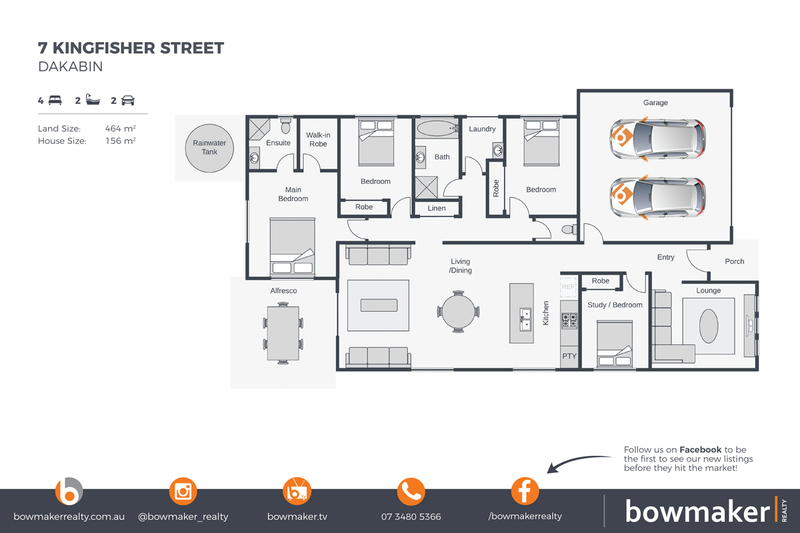 A comprehensive list of special features, inclusions and details and information for this property can be found online at www.7kingfisherstreet.com! For more information on this property or to book an inspection, please contact Paula on 0430 453 676 from Bowmaker Realty, North Lakes leading marketing Agency!